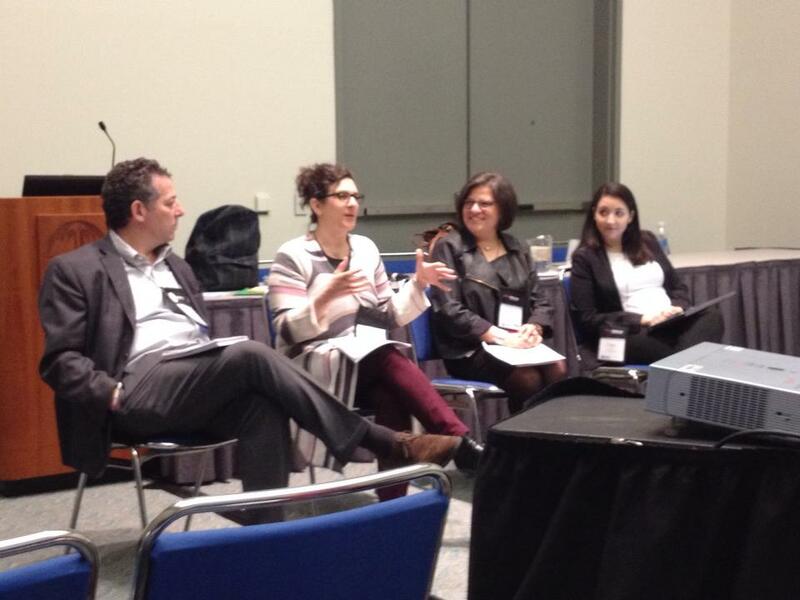 Liron Lipinsky, Director of J-JEP, Ann Roth, President of Rodef Shalom, Rabbi Aaron Bisno, and Debra Brosan, of Gestalt Works came together at the URJ Biennial in San Diego, CA to do a presentation on our school J-JEP! Their session focused on a framework for collaboration and merging based on their experience – telling the story from an idea to a successful educational program between two unlikely suspects: a Reform Temple and a Conservative Shul. The Rodef Shalom Team presented their process for creating a Joint Jewish Educational Program (JJEP) in Pittsburgh, PA. In addition, they shared some of the “tools” they used to move the process forward in a positive way. Here is a photo straight from San Diego!